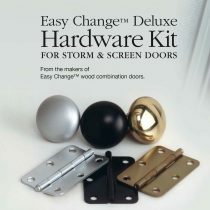 Storm or combination deluxe hardware door kit. Available in bright brass, bronze, and satin nickel. 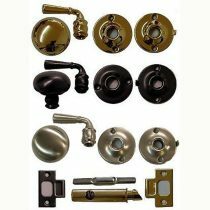 Ives storm door lock and latch kit. These kits are for wood storm and screen doors from 7/8″ to 1-1/8″ thick. The kits are available in 7 finishes. National storm door latch model number V1953. Storm door latch has a built in locking device. 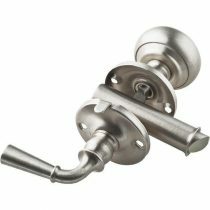 Package includes inside knob, outside lever and strike plate.